Prepping is more than just stockpiling food and other supplies. Prepping is about preparing for the future. It’s about learning new skills that may be required when/if the world as we know it changes dramatically. And it’s about sharing what you’ve learned with other like-minded people in your local and online communities. That’s why we’d like to give you an opportunity to share what you’ve learned. We invite you to submit an article to PreppingToSurvive.com and have it featured as one of the daily posts. Your post must be your own original work. No one likes or accepts plagiarism and it will not be tolerated on this site. Your post should be helpful or insightful to other readers. You can demonstrate a survival technique, share prepping knowledge, or simply point out trends in the world that are leading us toward TEOTWAWKI. You may submit product reviews. However if you are being paid by or have any in-kind relationship with product’s manufacturer, you must disclose that in the article. Pure advertisements however will not be accepted as a Guest Post. You may reference your own blog or other works if you wish. In fact, I’d encourage you to do so. 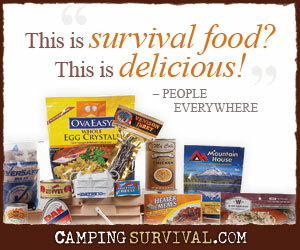 We request that you edit your submission for correct spelling and grammar before submitting it to PreppingToSurvive.com. We reserve the right to edit your post as well. Your submission may not be published if too much editing is required. If a submitted article requires actual content editing or does not add value to the readers of this blog, it will not be published. This is at the sole discretion of PreppingToSurvive.com. Submit your article within an email or as a Word attachment. Once we receive your article, you will be notified of its receipt. If there are any editorial or revision issues, we will contact you. Send proposals and completed articles to preppingtosurvive@gmail.com. We’ll let you know when your article will be posted so you can promote it on your own blog or website. You can also let your friends now by Twitter, Facebook, or email, or any other way you’d like.